No Mr. Bond, we expect you to die! Pfft.....shyeah, right! Like those guys could kill double oh seven. I mean, look at them. They're nuts! It's obvious, isn't it? Seriously, this picture makes them look big, but in reality they are fairly small. Also, they aren't actually capable of independent movement. And personally, I happen to think that between the three of them they don't have the intelligence to come up with a plan to kill time, let alone the worlds greatest spy. Yep, they're nuts alright. While they may be nuts, the one thing they aren't is, nuts. When I called them nuts, I was using the common colloquial term for crazy. Because they aren't nuts at all. None of them are. Oh sure, we consider them nuts. But they aren't. They are two drupes and a legume. Drupes are the edible portion of a seed. And a legume is a pod that contains seeds. 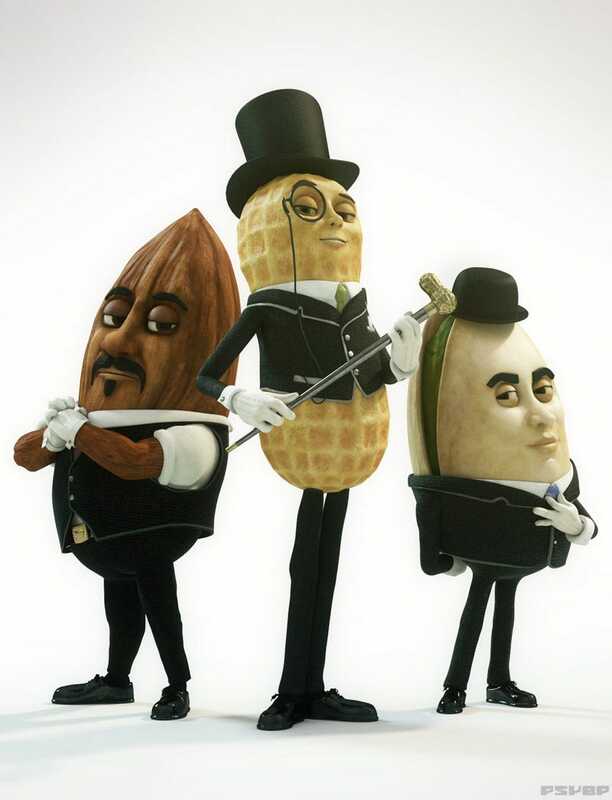 Almonds and pistachios are drupes, and peanuts are legumes. Heck, were you even aware of the fact that peanuts grow underground? Because they do. Also, pistachios are closely related to cashews. And almonds, well....they're poisonous. Hmm. So I guess not only is an almond not a nut, he's also not nuts. Because, he could, in fact, easily kill Mr. Bond. Remember that one time, a long time ago, when I said an almond was a drupe? And you remember how I said a drupe was the edible part of a seed? Remember that? because if you don't, you might want to go to the doctor and get checked out for your severe short term memory loss. But yes, almonds are a part of a seed. And many seeds have something in common. They share a glucoside called amygdalin. And when the body metabolizes amygdalin, it breaks down into glucose and hydrogen cyanide. Have you ever bit into, say, an apple seed and found it bitter? That bitter taste is the seed warning you not to eat it. The almonds we typically eat are sweet almonds. Sweet almonds contain about 0.16 mg of cyanide per almond. In that quantity, you would need to eat about 2,100 almonds in one sitting to ingest enough cyanide to kill you. And who's going to do that? Well, that's how many it would take to kill an average sized adult. To be fatal to a child, the number is much lower. A small child would need to eat about 450 almonds all at once. Luckily for us, our bodies can process small amounts of cyanide. So you're probably safe when you eat a handful or two of almonds. Probably. Because while sweet almonds are relatively tame, bitter almonds are not. Each bitter almond contains between 4 and 9 mg of cyanide. And at those doses, it would take about 50 to kill an adult and 5-10 to kill a child. Luckily for us, all the almonds grown in the USA are sweet almonds. Unluckily for us, we import a huge number of almonds every year. And not all those almond suppliers grow sweet almonds exclusively. And to keep profits up, quality control is slipping. More and more bitter almonds are sneaking into our sweet almonds. Now before you panic and swear off almonds, as of 2010 it was only a small fraction of almonds that were contaminated by bitter almonds. And the quantity you'd encounter them in almost certainly wont kill you. It might give you vertigo or some other symptom of cyanide poisoning, but chances are, you'll survive. As long as you don't get that vertigo while free climbing up the north face of El Capitan. That would be bad. Also, if you go into some 'all natural' and 'homeopathic' shops to find a cure for what ails you without going t the doctor, beware. Some of them sell bitter almonds and apricot kernels. Apricot seeds contain almost as much cyanide as bitter almonds. If you don't prepare them correctly, you could end up taking a cure that kills you faster than whatever it was you were trying to cure. So, if bitter almonds and apricot kernels could kill you, why do natural medicine shops sell them? One word: Laetrile. Starting back in the 1950's, laetrile was touted as an all natural cancer treatment. In the 1970's, the FDA and the AMA conducted extensive testing on laetrile and found it to be wholly ineffective in treating cancer, and it's production and sale were outlawed in the US. The thinking behind it's use was that the cyanide would kill the cancer. Many Americans have since travelled to Mexico for cancer treatments using laetrile. Steve McQueen was one of them. And, well....he's dead. Another man, Dr. Dean Burk, former head chemist at the National Cancer Institutes cytochemistry lab was a cancer sufferer and advocate for it's effectiveness. But, he's um.....dead too. So, beware the bitter almond. (and apple seeds, cherry pits, apricot pits, peach pits....you get the idea...) And stay away from the laetrile. And shark cartilage. And Cell Salts. And Bezoars. Just be smart.